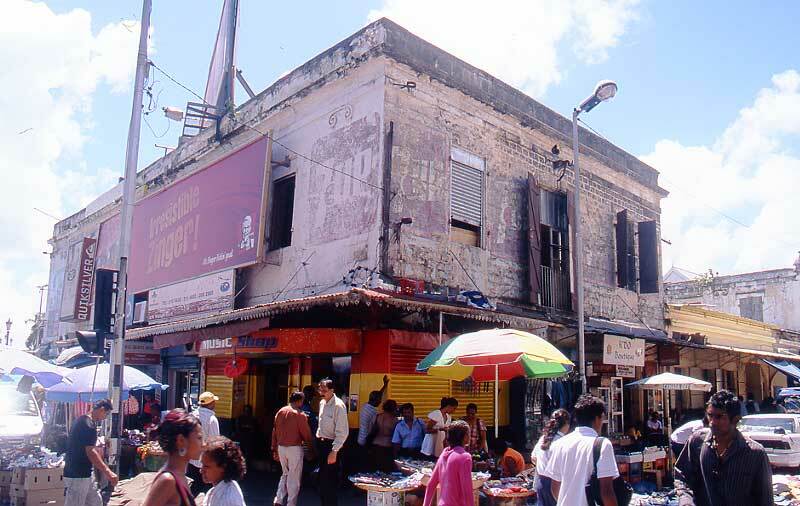 STAR stands for Société Tananarivienne d'Articles Réfrigérés, a company founded in 1953. 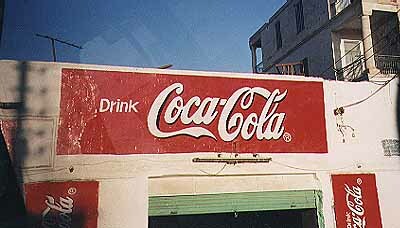 STAR got the country's exclusive franchise rights on Coca-Cola in 1953. 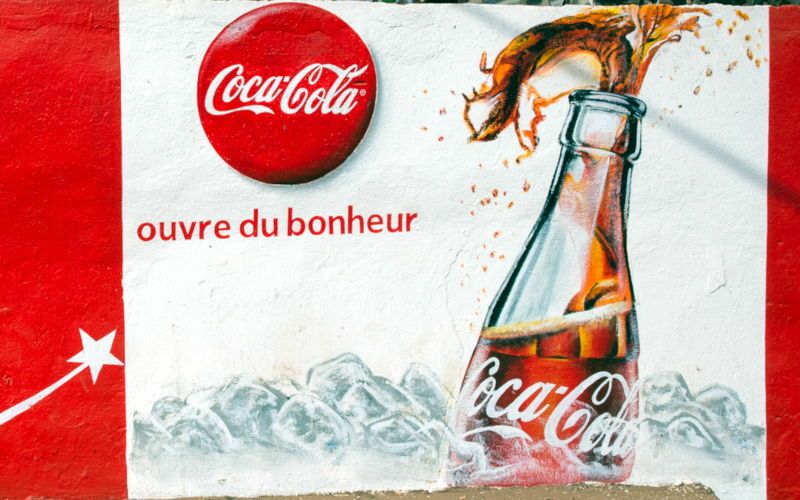 The slogan ouvre du bonheur came in use in 2009. 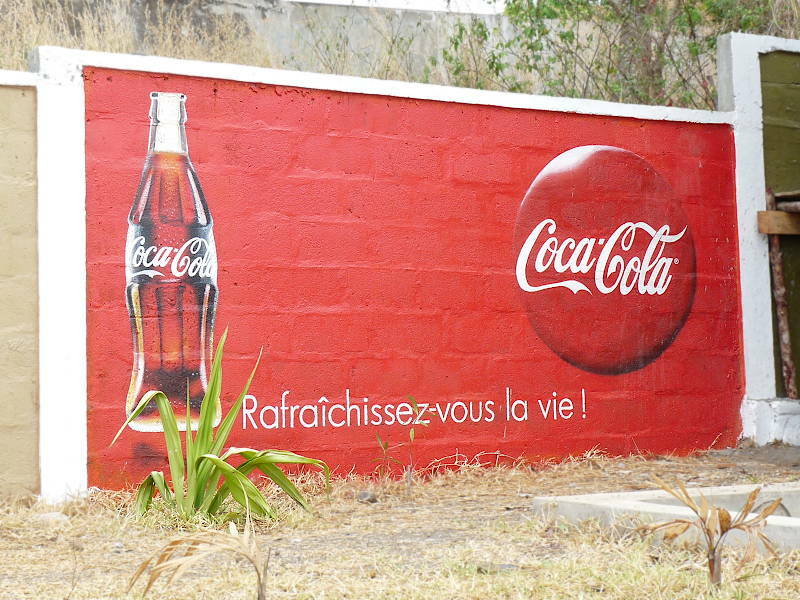 Coca Cola Rafraîchissez-vous la vie! 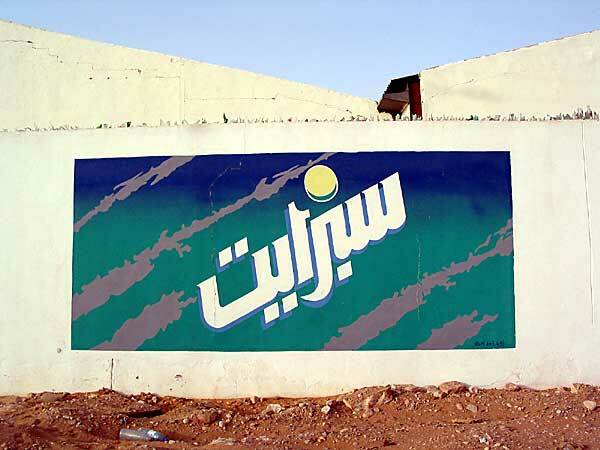 The slogan dates from 1986 but was also used from the very beginning. 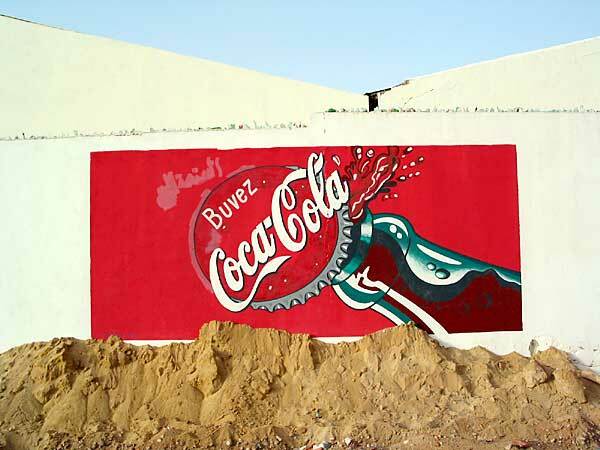 Coca Cola désaltère le mieux. 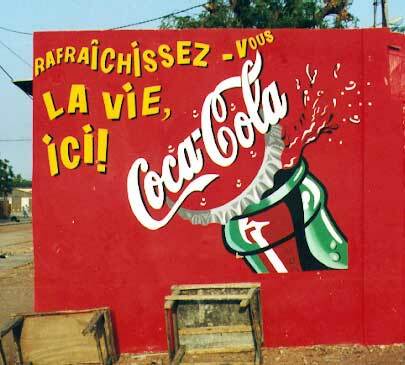 Coca Cola désaltère le mieux and enriches our collection with a new message from the brand: tout va bien mieux avec Coca Cola or everything goes much better with ... which is a slogan from 1963. 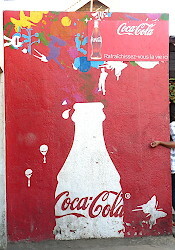 French for Drink Coca Cola, which is a slogan from 1986. 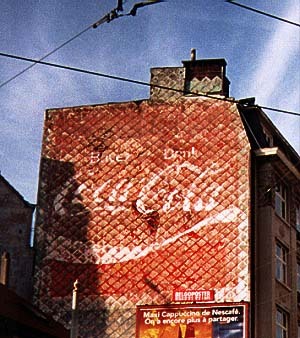 Coca Cola in the Classic Company lettering. 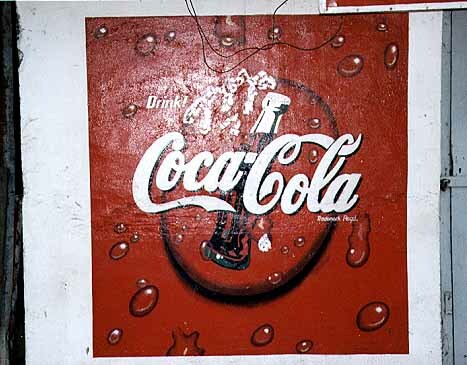 Very confusing Modern Art styling put together from the brand's typical marks: the bottle, the red button, the hand­written name. 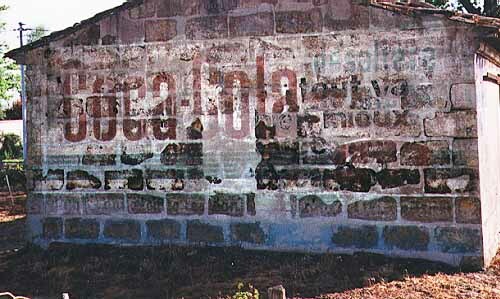 The wall contains three windows. 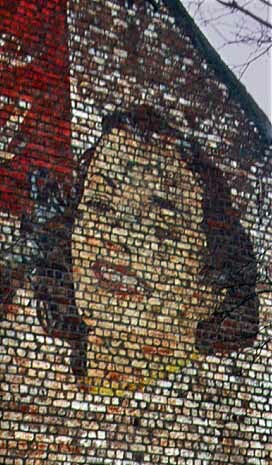 The lower windows are almost invisible because the frames are painted red. The upper window lacks the red paint; that is a pity. Don't miss the exclamation! 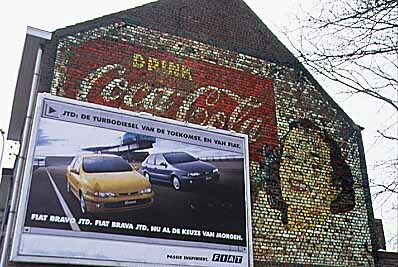 It's not on our other adverts. 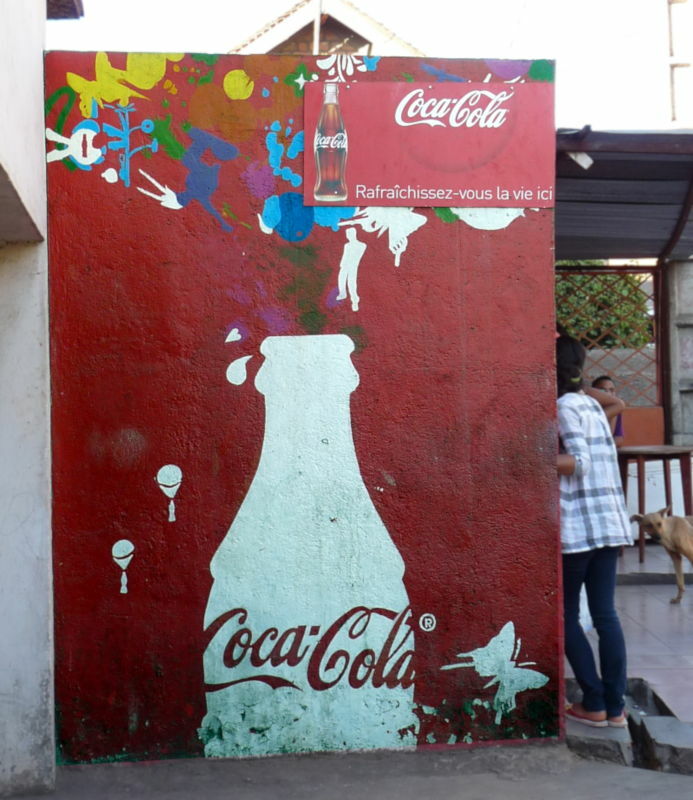 or Freshen up your life here . 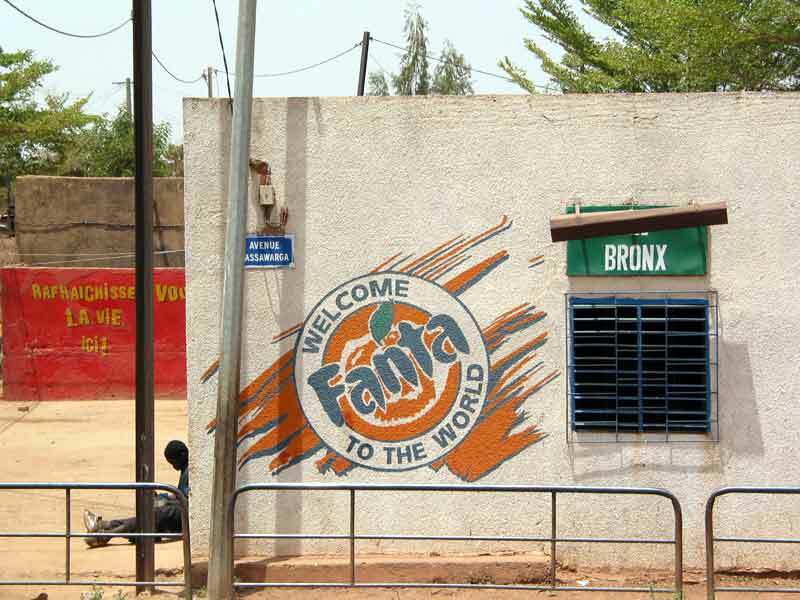 Welcome Fanta to the world. 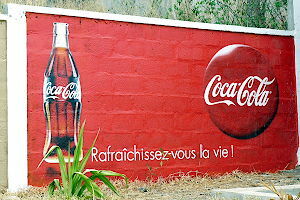 An adjacent wall carries the slogan Rafraîchissez-vous la vie, ici! 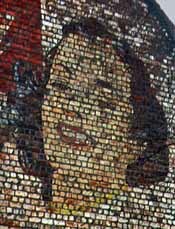 (click the picture to see it). 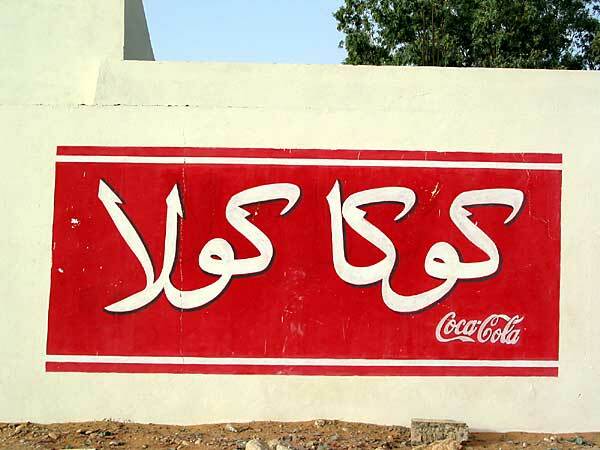 We've found the same text in Senegal for Coca Cola, the owner of Fanta. The German Coca Cola bottling plant had a problem. World War II was in full swing and they could no longer get the original syrup with the mystery ingredients. To keep the plant in operation a new drink was devised. 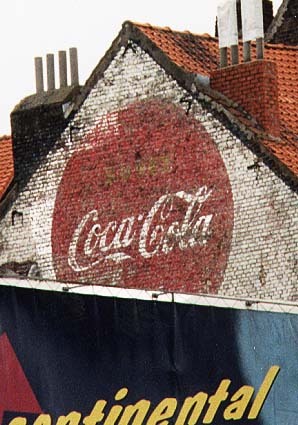 The brew had a fruity flavour which varied throughout the war depending on what was available on the market. 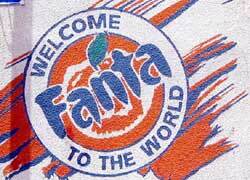 The name Fanta presumably is derived from the German word Fantasie which can be translated as fantasy or imagination. 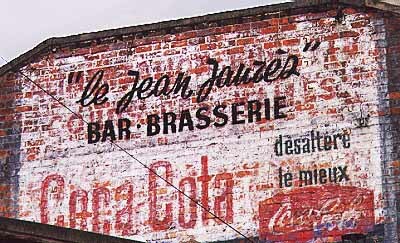 The drink became very popular then and after the war conquered the world in a wide range of different flavours. 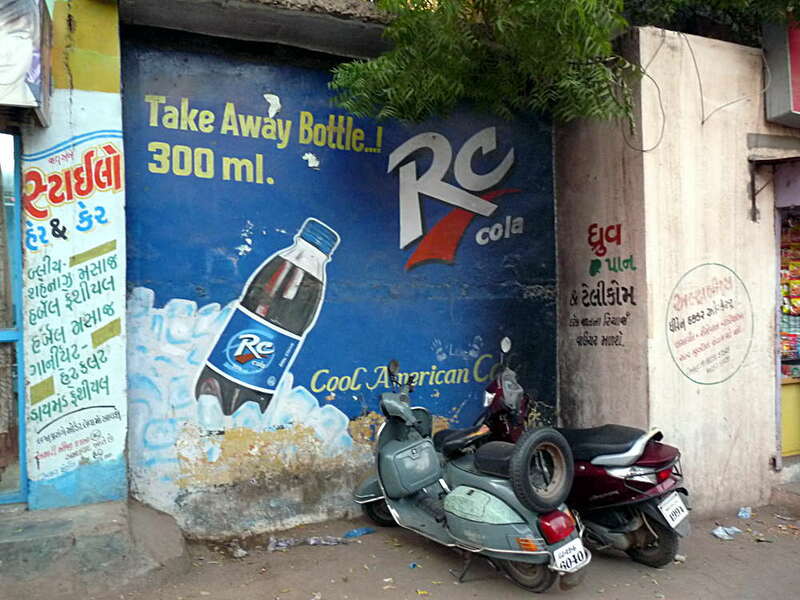 Royal Crown Cola was born out of the experiments of one Claud Hatcher who was a pharmacist in Columbus (U.S.A.). 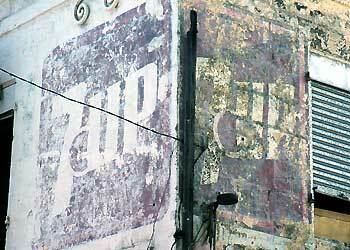 In 1905 his first line of beverages saw light — Royal Crown Ginger Ale — and was very succesful. 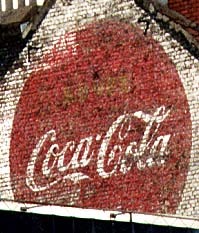 The company's founder died on the last day of 1933. 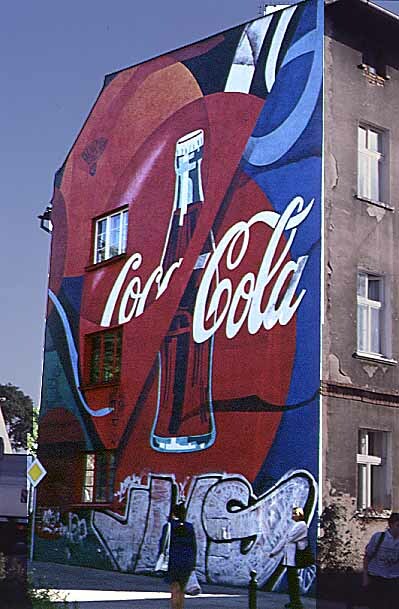 The new president of the company ordered the development of a new cola drink which was to be called Royal Crown Cola. Read more at the company's website which carries also vintage commercials apart from its history (checked XII.2013). Notice that although the character "i" is dotted with a lemon, the small sprint says ... Contains no fruit. Contains added flavours. 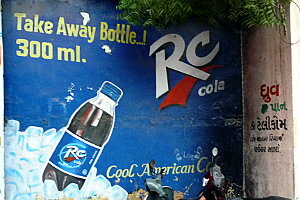 Notice the dot inside the name. 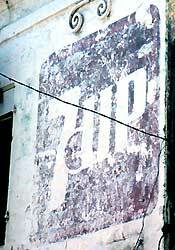 The soft drink that would be known as 7Up was created in 1929 by Charles Leiper Grigg in St.Louis and started its life with a long impossible name.